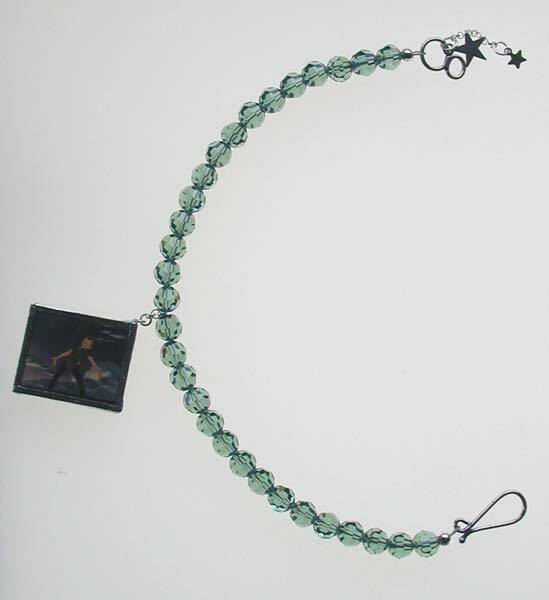 This 7" bracelet is made of erinite(moss green)6mm swarovski faceted beads. 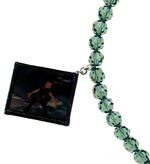 It has a sterling silver hook clasp and also 2 star charms to represent '2nd star on the right and straight on til morning'.Also featured is a film cell charm of the boy himself. When held up to the light you can see a picture of a triumphant looking Peter Pan. Perfect for fans of this classic film.